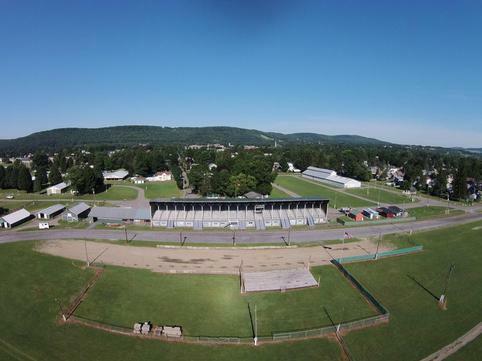 The Chenango County Agricultural Society, Inc. of Norwich, New York is very proud to sponsor the Chenango County Fairgrounds which is host to the CHENANGO COUNTY FAIR and a variety of events during the year. Come bring the family and experience the excitement that a true COUNTRY FAIR has to offer. Each day has featured entertainment in front of the grandstand. With many other daily events going on during the day and evening. Six fun filled days for the whole family! Chenango County Agricultural Society, Inc.
Garden Club article for the 2019 Fairbook. “WATER: WILD, WET, WONDERFUL” and can be viewed, at no charge,in Exhibition hall, daily from 10:00-8:00. The Garden Clubs of Chenango County are a group of garden clubs working together to present a top notch show. You will see jewelry made only with plant material, arrangements in pipes and maybe even a mermaid. Everyone is encouraged to enter the design class or bring us their flowers to display. The both divisions are open to any resident of Chenango County. In the Horticulture division you are given the opportunity to bring in your flowers, planters,shrubs etc. and enter them in the show. Pre-registration for both the design classes and horticulture is required. Come see what amazing things done with flowers.